Mule deer and black-tailed deer (Odocoileus Hemionus) can be found throughout western North America. They enjoy a broad range from the coastal islands of Alaska, down the West Coast to Southern Baja Mexico and from the Northern border of the Mexican state of Zacatecas, up through the Great Plains to the Canadian provinces of Saskatchewan, Alberta, British Columbia, and the southern Yukon Territory. 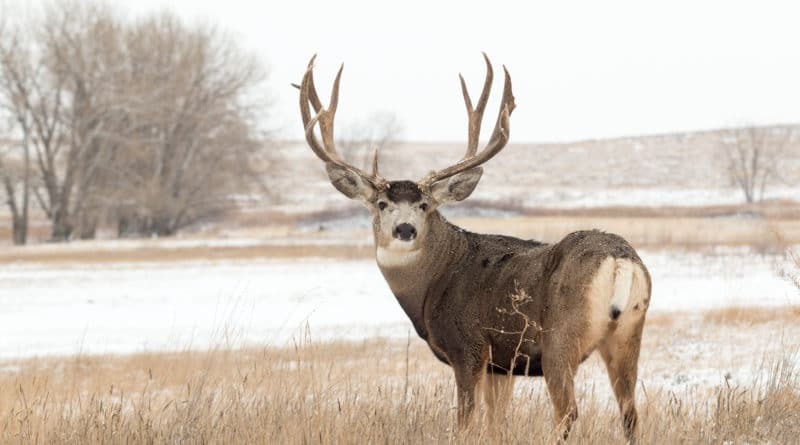 While there are many ways to hunt Mule Deer, the most common is the “spot and stalk” style hunt. HuntTested’s Ultimate Mule Deer Hunting Gear List is designed around the gear you need for a classic spot and stalk hunt of the majestic mule deer buck. This is a DIY hunt on public ground. You’re staying in a nearby hotel (if you’re camping obviously plan your gear accordingly). You’re hunting with a rifle. In a western mule deer hunt, your optics are critical. You’re not going to stalk anything if you don’t spot it first. I tend to favor binoculars over a spotting scope primarily due to ease of access and weight. I’ve long thought that your binoculars are a foundation piece of gear for a hunter. You’ll use them more than almost any other gear you own, and if you buy a quality pair you’ll be handing them down to the next generation. For mule deer hunting I recommend a pair of 10X42 binoculars as the best all-around choice. Here are some great models to consider at each price range. Budget Options – Even budget glass is good quality today. High End – There are no bad choices here. Swarovski tends to be the gold standard. Check out their SLC model or flagship EL’s. Whichever optics you choose, you can add to their utility and protect your investment with a Bino chest pack. Check out the models by Alaska Guide Creations. I also carry my wind indicator and rangefinder in my bino case. 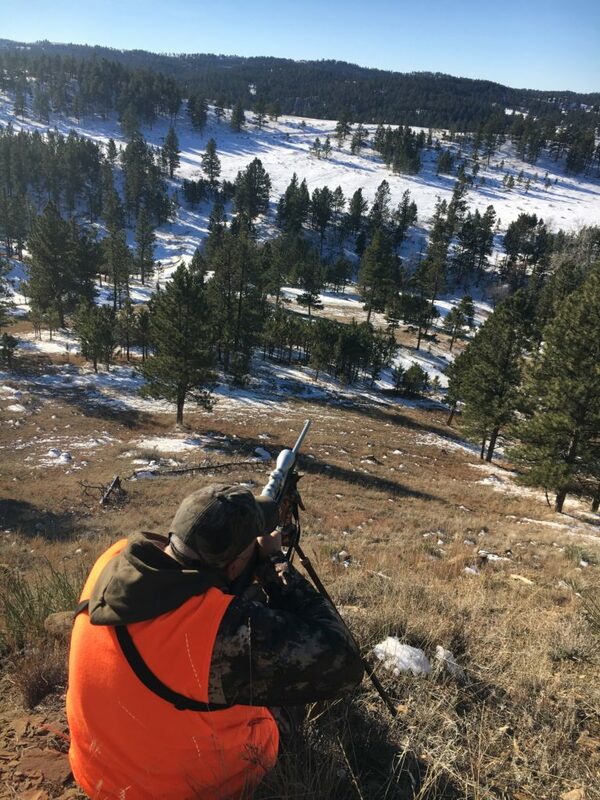 A good rangefinder is a critical piece of gear for mule deer hunting. 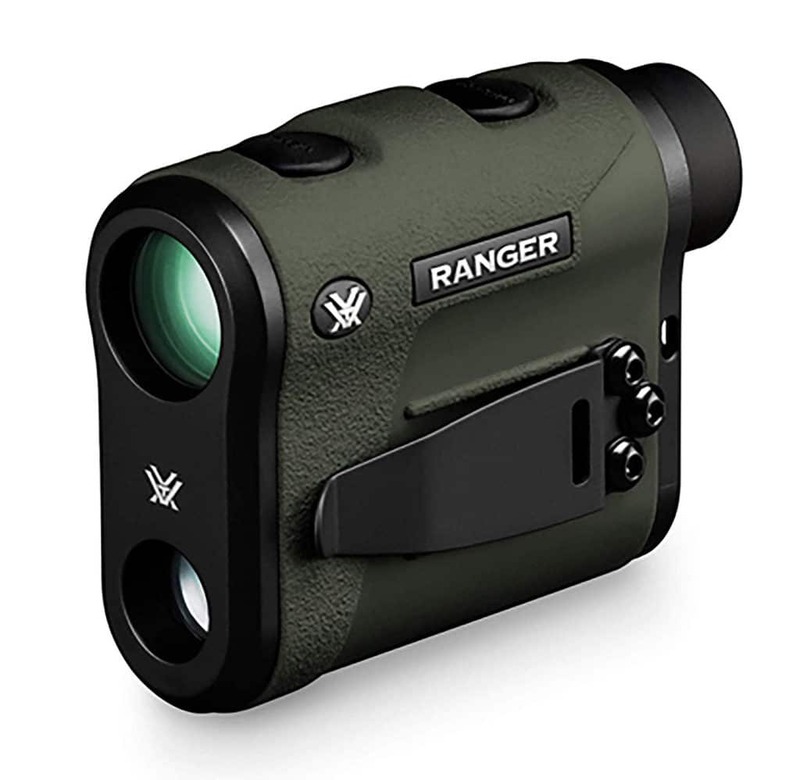 Given Vortex’s amazing warranty, their Ranger 1300 model is a great choice at $300. 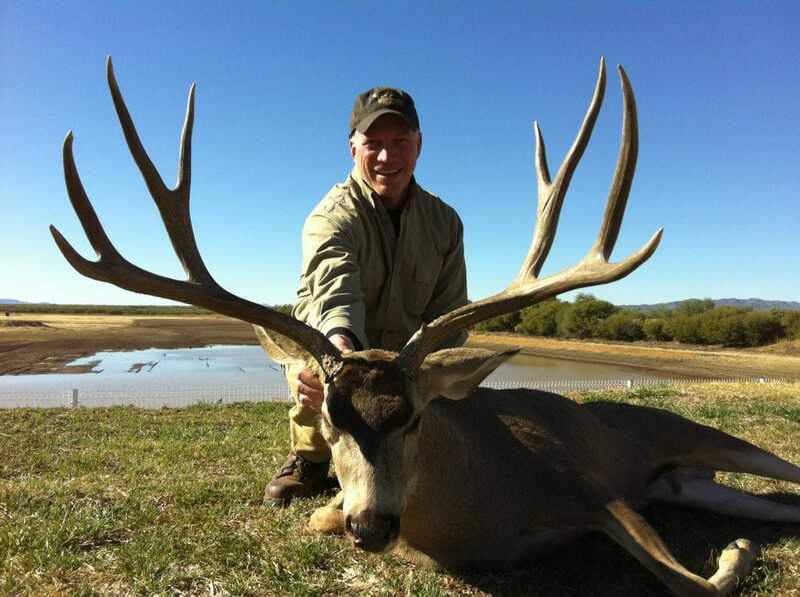 Mule deer live in big country. If you’re hunting with a rifle anything from a .270 to a 300 Winchester Magnum will do the trick. Bolt actions are the most popular type of rifle action for mule deer hunting and all the major manufacturers make quality bolt guns today. According to my gunsmith, the Tikka T3 is a terrific combination of price, quality, and accuracy and worth checking out. The 6.5 Creedmoor, with its flat shooting long range accuracy, is rising in popularity for western deer. Given the opportunity for long shots, hunters will want either a bipod attached to their rifle or shooting sticks, which are my preference. Hunting pants (two pairs are plenty for a weeklong hunt) Check out the Obsidian Pant by First Lite. Pro Tip: Be sure to check the Blaze Orange requirements for the state that you’re hunting. If you’re hunting from your truck, there are a few additional items that you’ll want to have on hand. Coolers for quarters or processed game. You can fit a quartered mule deer in a 120-quart cooler. The last piece of essential gear was my onX Hunt app that’s on my iPhone. I’ve been using the onX App on my phone exclusively for the last couple of seasons now, and it’s amazing. I cannot see ever buying another dedicated handheld GPS unit. Having the ability to accurately determine where you are at all times in the BLM checkerboard of the West, and being able to do so without cell coverage is a game changer. I also carry topo maps of the area that I’m hunting from MyTopo.com as well as a compass. 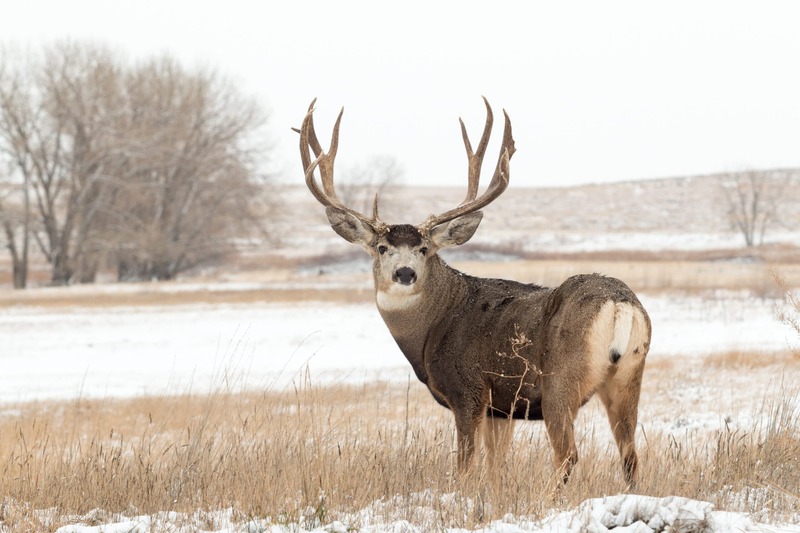 There are numerous opportunities to hunt mule deer across the western states. 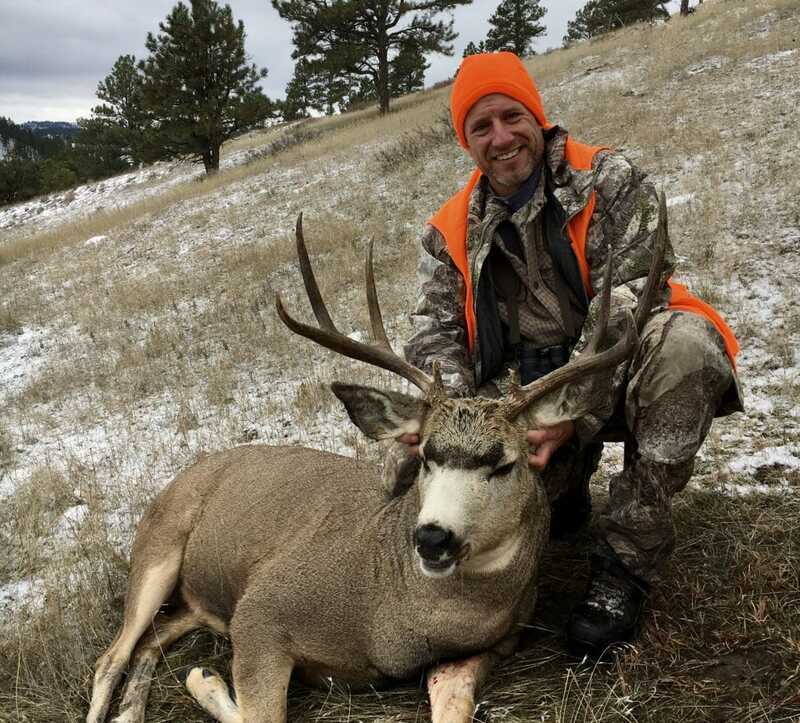 Hopefully, this article has given you some ideas to consider when you’re planning your next mule deer hunt. Good Luck! Special thanks to HuntTested Contributors, Mike Paul and Jeff Boehler for assistance and photo submissions for this article.